Still continuing to rebuild: We are proud to open our newest and largest exhibit, Ocean Wonders: Sharks! in the summer of 2018. Construction and rebuilding from Hurricane Sandy continues for our main indoor restaurant, as well as three exhibit areas that remain closed. INDOOR AND OUTDOOR EXPERIENCE: Our park is not completely indoors. Please plan ahead and dress for the weather. AQUATHEATER SHOWS ARE WEATHER DEPENDENT: Due to the open-air stadium, our Sea Lion shows cannot operate in rain, snow or severe cold temperatures. Availability of other animal feedings are also subject to unforeseen conditions including operations or animal-related concerns. Thank you for your understanding. NO ROOFTOP IN WINTER: Due to weather conditions, the rooftop at Ocean Wonders: Sharks! is closed during the wintertime. NO RE-ENTRY: Please plan for a continuous visit. We are unable to permit reentry to the park once you leave. For the 4-D Theater, we recommend visiting at the start or at the end of your Aquarium experience, as the theater is located just outside of the park entrance. Strollers Restrictions: Stroller parking is required when entering the Aquatheater. Also, when the park is crowded, stroller parking is required for the Ocean Wonders: Sharks! exhibit. Designated self-park stroller areas are near these entrances. Please take your belongings with you when parking your stroller. Wagons are not permitted inside the Aquarium. Adult supervision required: All guests under age 17 must be accompanied by an adult age 18 or over. Mon, Tues, Thurs afternoons tend to be smaller crowds. Camp group visits are heavy on weekday mornings. 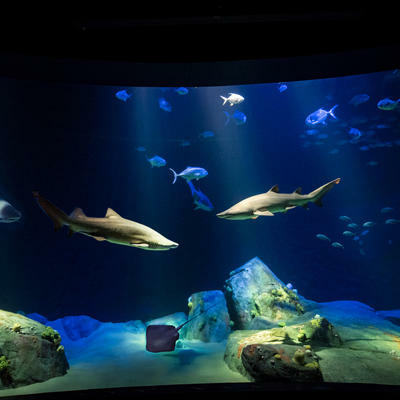 When an Aquatheater show is running, it can be the best time to visit Ocean Wonders: Sharks! Once the show ends, lines grow very quickly. In order to manage the crowd size inside the park, you may encounter longer lines and wait times at the entrance. Parking is LIMITED (we can’t say this enough!). 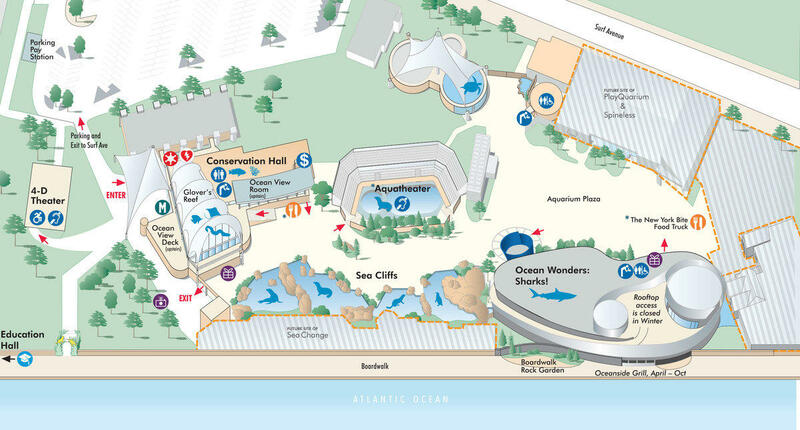 If driving to the Aquarium, expect delays for traffic and parking lot temporary closures. Mass transit is best. Strollers Restrictions: During the Summer, stroller parking is required for the Ocean Wonders: Sharks! exhibit and when entering the Aquatheater. Designated self-park stroller areas are near these entrances. Please take your belongings with you when parking your stroller. Wagons are not permitted inside the Aquarium. 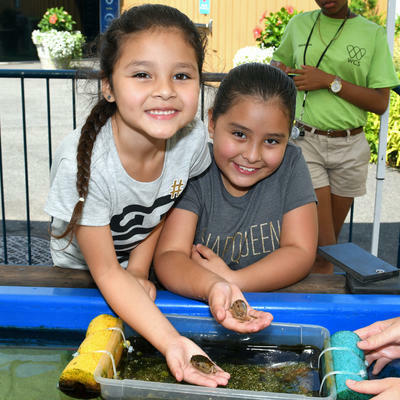 Beach equipment and beach attire is not permitted: Shoes and shirts are required for visiting the Aquarium. Due to limited space, we cannot have guests bring in beach equipment such as wagons, umbrellas or coolers. Feeding Times are based on the animals' needs. Check the board in the Main Lobby for details. Every day, keepers use toys, treats, and training to stimulate natural behaviors. Catch the enrichment in action. Glimpse life at the edge of the Hudson Canyon and get nose-to-nose with sharks. July & August: Wednesday–Sunday from 11 a.m. – 3 p.m.
Join the Quest! Look for these free family-friendly activity stations throughout the park. 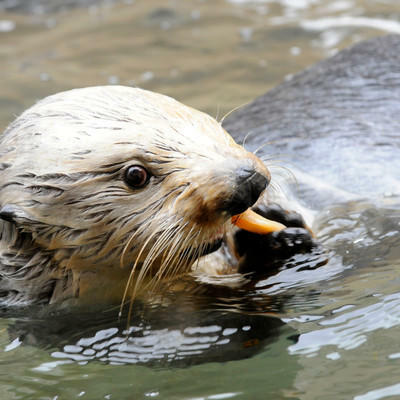 *Show and feeding times vary, see daily postings in the main lobby and Aquatheater entrance.